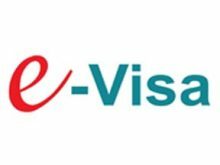 Uzbekistan has started issuing an electronic visa for citizens of 51 countries, including India, to enter the territory of the Republic of Uzbekistan, effective July 15, 2018. The issued e-visa is valid for 90 days from the date of its issuance. The application for processing an e-visa must be submitted at least three working days before the planned date of trip to Uzbekistan. The consular fee for processing and issuing an e-visa is $20. Foreign citizens aged under 16, holding an international passport or a biometric travel document, may enter and stay in Uzbekistan for the validity period of the entry visa of the accompanying person, but not longer than 90 days from the date of entry into Uzbekistan. From July 15, the five-day visa-free transit procedure will take effect for the citizens of 101 countries, including India at the Uzbek airports, provided they hold an air ticket to a third country, and the carrier must provide information about passengers to the border authorities of Uzbekistan.